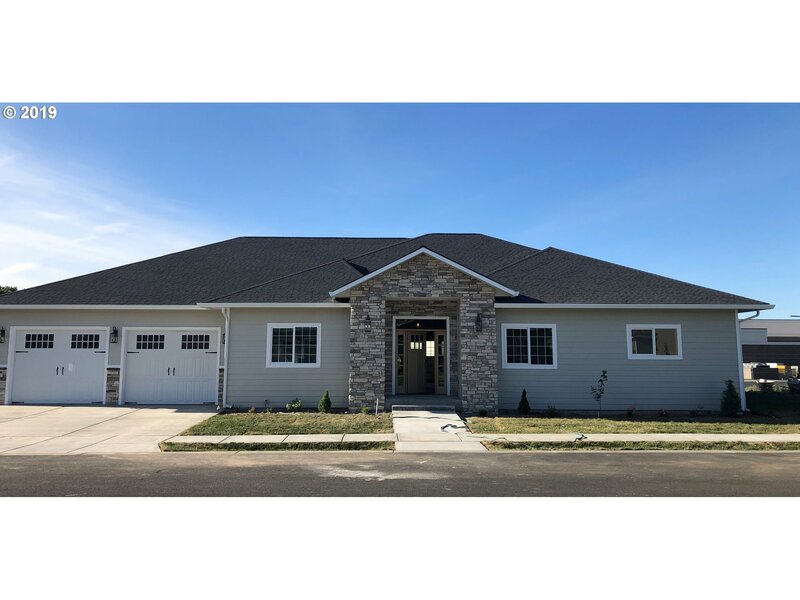 All Hermiston homes currently listed for sale in Hermiston as of 04/19/2019 are shown below. You can change the search criteria at any time by pressing the 'Change Search' button below. 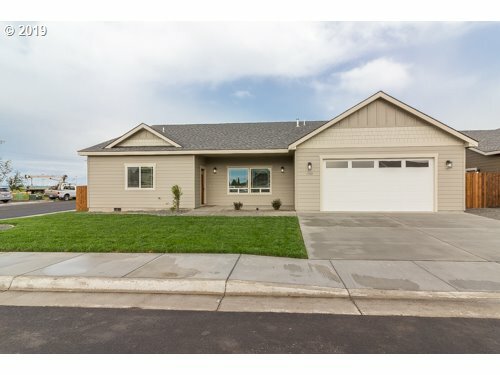 If you have any questions or you would like more information about any Hermiston homes for sale or other Hermiston real estate, please contact us and one of our knowledgeable Hermiston REALTORS® would be pleased to assist you. "Large fully custom home on just over 2 acres! 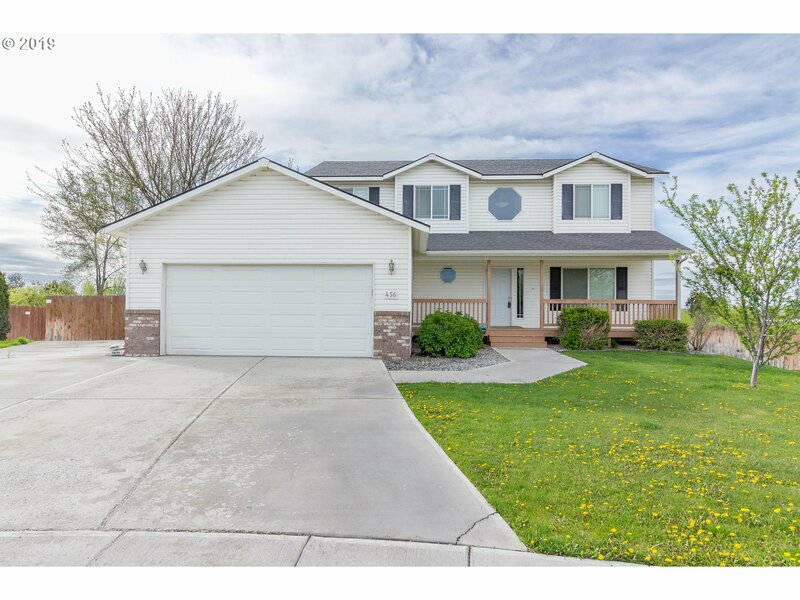 This home features 4 bedrooms, 3.5 bathrooms, a den (all on one level) and an attached 2 car over-sized garage. TUGS, a 46 by 46 shop with 16 foot ceiling and a RV bay with full RV hookup included, pasture area with water rights through HID and all of this near town! Come and see what this home has to offer!" 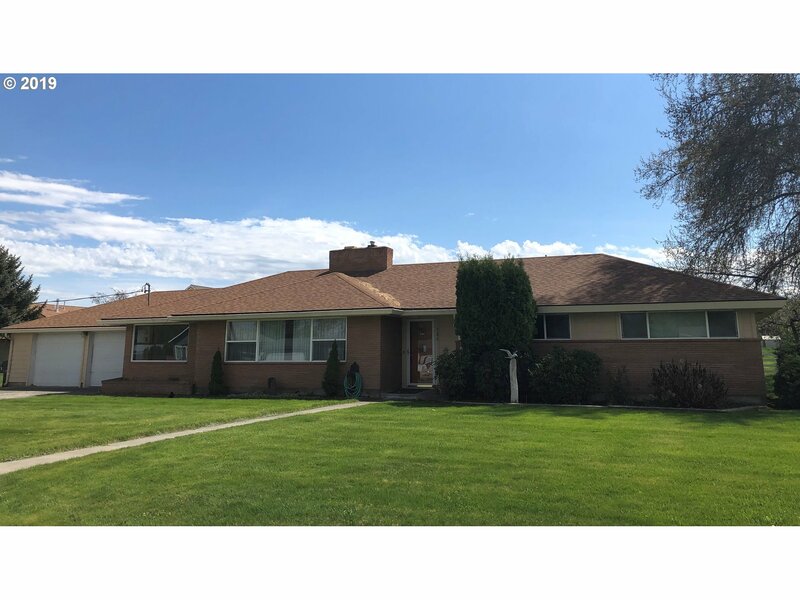 "Beautifuly remodeled ranch home overlooking the city lights. This property has a 5 stall barn with runs, a large tack room, an arena, established pasture and is completely fenced and cross fenced with Noble and Prefert galvanized panels. Hardwood floors, custom gourmet kitchen. The home has 3 bedrooms a room downstairs used as a bedroom and a large office. There is a family room in the basement and a beautiful living room upstairs." "Beautiful piece of property with a opportunity for a developer. This property is 19.8 Acres with solid set irrigation. Zoning is RR2. Currently property has a 1993 3 bedroom 2 bath Marlette home and a 2 bedroom 2 bath 1994 Fleetwood home on it." "4 bedroom 2 full baths,2 half baths on 2 acres with full water rights half mile from hospital on paved road. 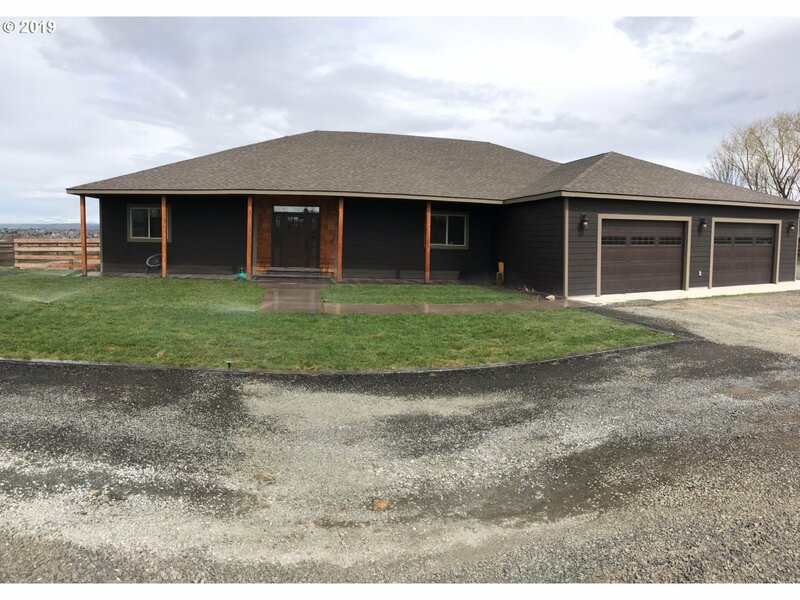 Two complete heating and cooling systems one on each level 1000 sq ft shop Separate from home,Plus RV Garage !4 ft high Garage door/ 700 SQ FT. Many Custom features throughout. Spacious Country Kitchen renovated in 2010 inc butcher block island,custom cabinets galore, 2 pantries and impressive mosaic stone mural,lots of storage." "Beautiful spacious 4 bedroom, 4 bath home on 5 acres with water rights. This home has two connected living areas and two Master Suites ideal for your guests, multi-generational living opportunity, with a media room an office and a wet bar. Room for your comfort and privacy. HVAC with dual temperature controls. 1440sf general purpose building to store toys, RV's and more. Solid set sprinklers in hay field. In farm deferral." 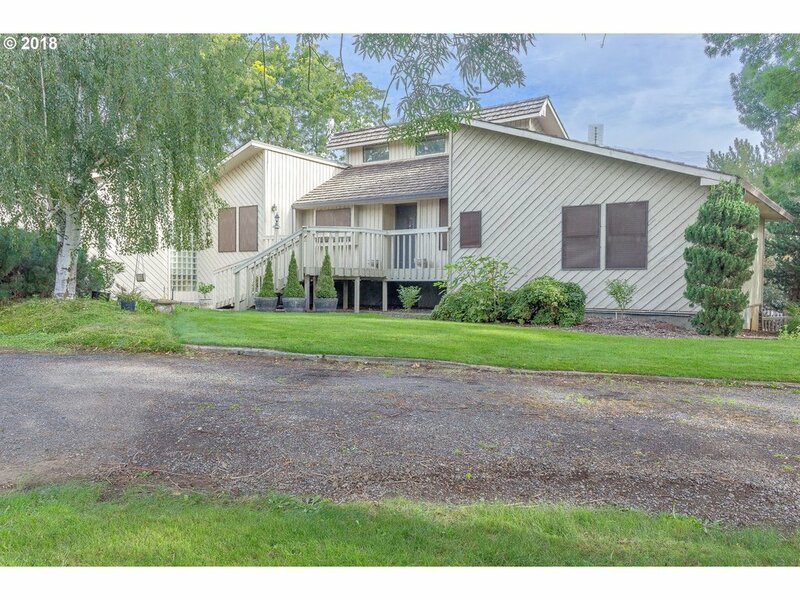 "Beautiful custom built home on 2 acres with a view of HERMISTON. Home has a covered back porch appx.16x80.Front entry is appx.8x50 covered. Home has open floor plan with a magnificent view of the sunsets through the lg.windows. All bedrooms are spacious. Extra storage and den/office. Front property is fenced with sprinkler & hay barn.Garage is Appx.1464sqft with 2Lg.front & 1Lg.side doors for easy pull through." "White vinyl fence leads to 8 acres of productive farm ground with solid set irrigation, storage shed, bar, & small shop. This single story home sits remotely off Cooney Ln. Terrace landscaping, glass slider off dining room & kitchen onto cement slab for easy access to BBQ. 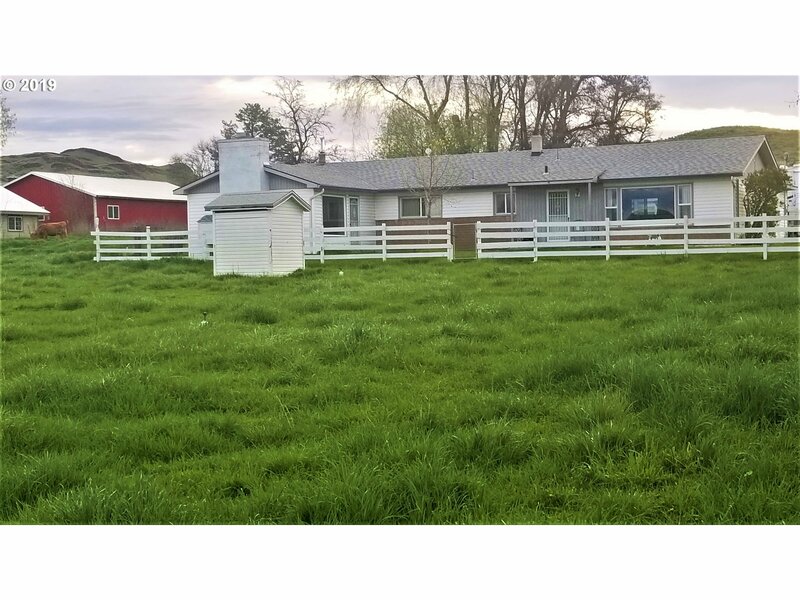 Pantry, office, wood fireplace, pellet stove, oak cabinets, RV storage, orchard, 2019 crop negotiable & easement for irrigation. 2018 crop was seed corn." "One of Hermiston's Finest! This spectacular custom home features 4 bedrooms/3 baths, with 2,376 sq. feet of the best finishes! Walk in the front door and find soaring ceilings, a huge rock fireplace, a breathtaking open kitchen, beamed ceilings, huge master bedroom & bath with tub and marble shower, a second bedroom suite, huge covered patio, shed, RV parking, oversized 3 car garage & more! MUST SEE!" "Wonderful investment property located right next to the new Amazon building site. Property is zoned RR-1 possible to do future 1 acre building site once water and sewer is brought to adjacent property. Currently has a 1984 newly remodeled home. Owner will carry contract OAC. Has state water rights split into two 4 acre plots with 2 wells, 2 septic, barn, 3 car open garage with enclosed shop has RV setup as well." "Enjoy fall evenings around your fire pit in your private yard. This home has it all!! 4 bed, 3 bath , 2 fireplaces, gourmet kitchen with double ovens & granite,built ins galore, Office area with storage and built in play house, living room, family room tons of space for entertaining. Outside along with the fire pit you will find a beautiful in-ground pool, area for a shop, newer septic system and work space in the attached 2 car garage." "4 bed 2 bath triple wide on 2 acres with water rights. Owner is replacing the flooring, new paint inside and out. Large covered porch on the back of the home perfect for barbecues. Very peaceful setting, sit and enjoy the view of the mountains with no neighbors behind you or on one side. There are solid set sprinklers a storage shed and lots of peace and quiet!" "Sit in your living room or outdoor deck and enjoy a view of the Columbia River with colorful sun rises and sun sets. 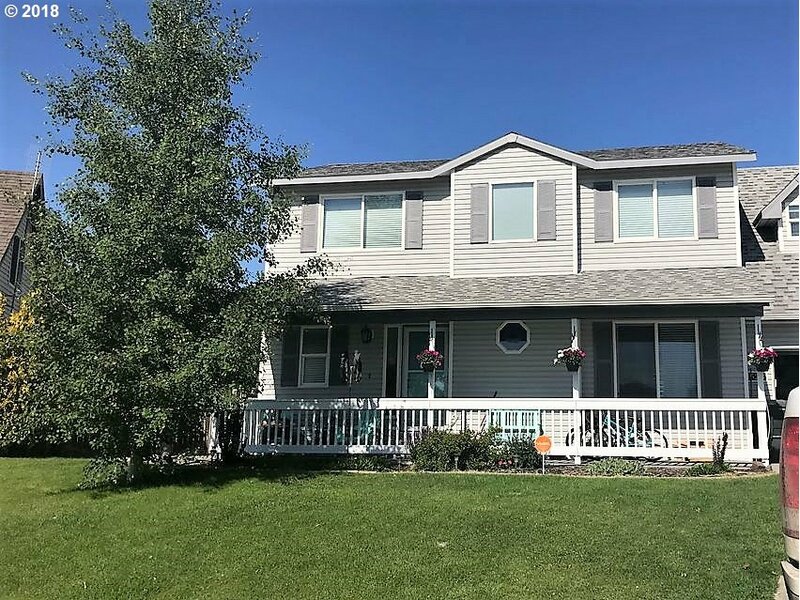 This 5 bed 3 bath concrete home with unfinished basement features picture windows, terraced landscaping, underground pool, orchard, garden, tool sheds, RV parking pad, and plenty of space for outdoor dining and entertaining. Community water $25.00 per month." "Beautifully Updated One Level Farmhouse on 2.45 Acres w/ water rights! Home features 3 beds & 2 baths with 1,996 square feet. 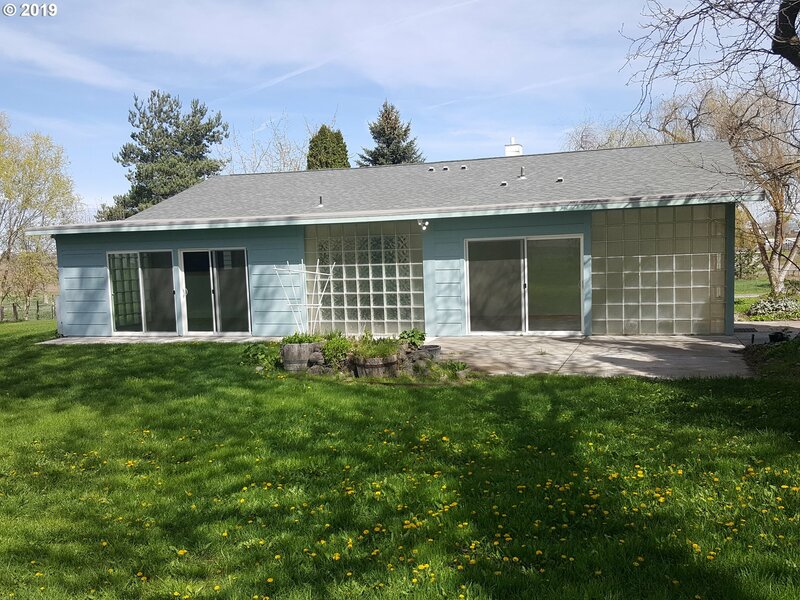 Updated floors, open kitchen & dining, huge living room, new metal roof and gutters and more! Property also has a detached guest house or kids play room! Detached shop, storage shed, long gravel driveway, fully fenced, RV or boat parking, and more! Perfect country home with charm and beautiful setting!" "This 4 BR. 2.5 BA home has a family friendly floor plan, living room with woodstove. Kitchen & dining room flow into an attached sunroom for added living space. The 3.85 acres has room to grow, the shop is 864 SQ.FT. enough room for extras. Partial finished basement has pantry/storage area and room for spare sleeping space." "RARE OPPORTUNITY! HOME & ACREAGE IN TOWN! This is one of those homes that does not come along very often! 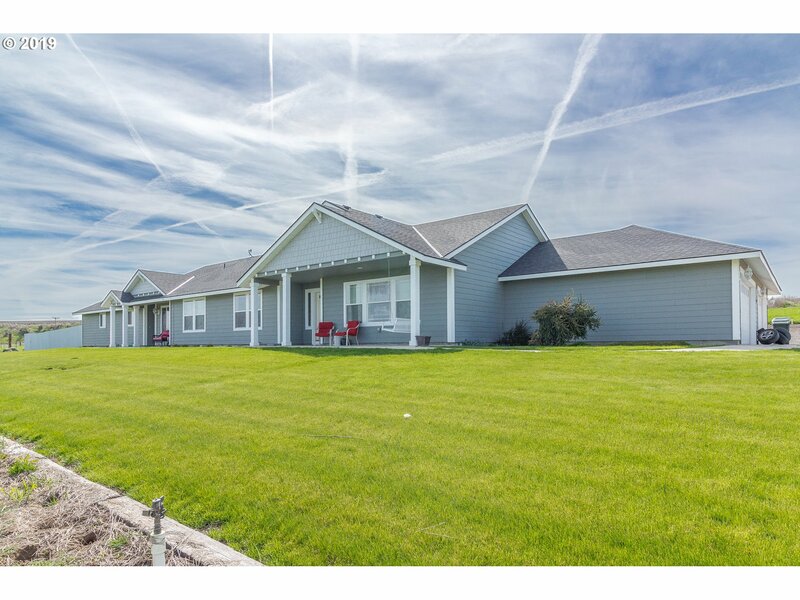 3 Bedroom/2 Bath, 1,673 square foot, one-level home sitting on 1.22 acres. Property has water rights and irrigation system in place! Also has a detached storage building or shop. Tons of room to expand the home, enjoy a massive yard, or pasture for your animals. The potential is endless." "this has something for everyone 2.04 acres 2 story 2100 sqft home, 4 bedrooms plus office or other room. daylight basement. 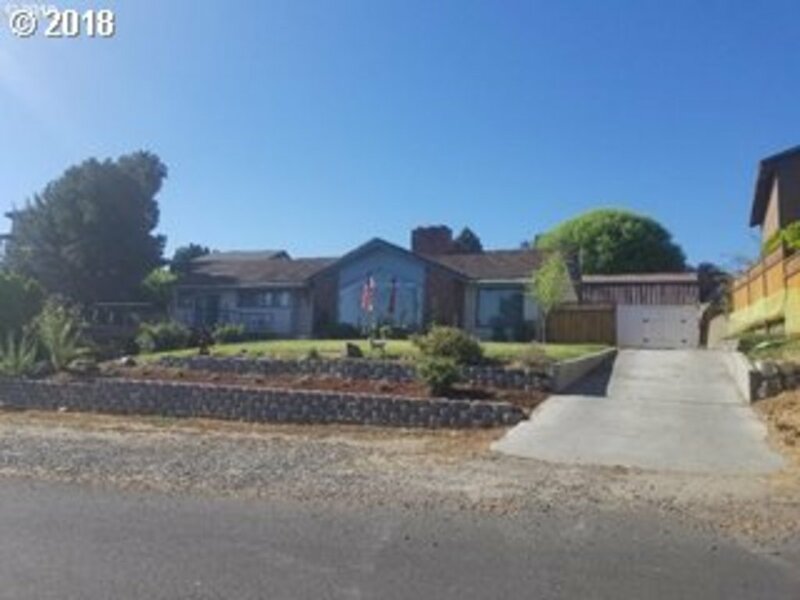 detached huge garage/shop with heat/air/ bathroom/ cooking/ canning station,3 RV pads, irrigated solid set.much more"
"BIG BARN w/4 BAY SET UP, w/2 pastures and corral. UPDATED 4 BED, 3 BATH stick built home w/1997 manuf. home attached. Remodel includes new custom kitchen, and bathroom. Newer carpet, windows, electrical, heat pump, doors. New ext. paint & roof '17. New insulation in attic and walls. New pump house, everything in pumphouse new including nitrate filtration system. Maxwell ditch irrigation." 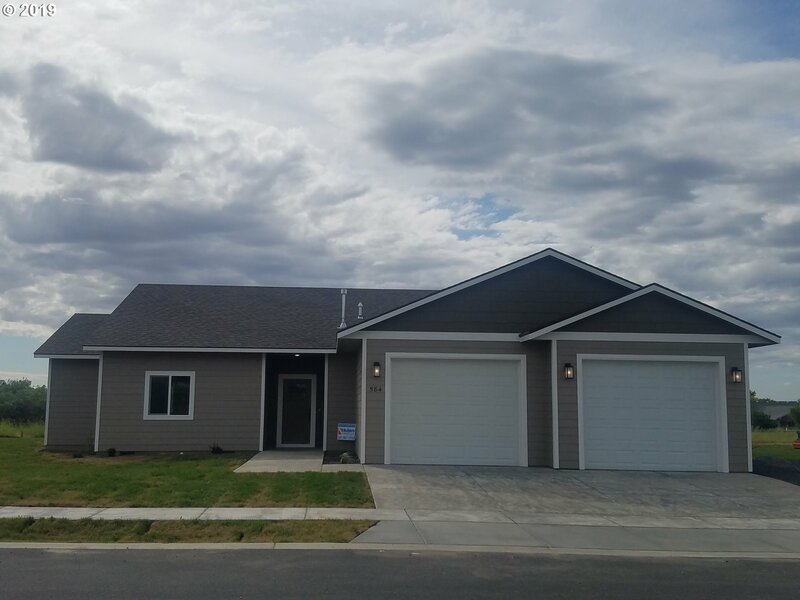 "Beautiful new home in Hermiston's Newest sub-division Wolf Run. 4 bed 2 bath home on a corner lot. Family/living rooms, Quartz counters, tile flooring in bathrooms, Double headed marble walk in shower, Laminate flooring in living area. Fenced yard with TUGS and landscaping included as well as blinds and water softener. 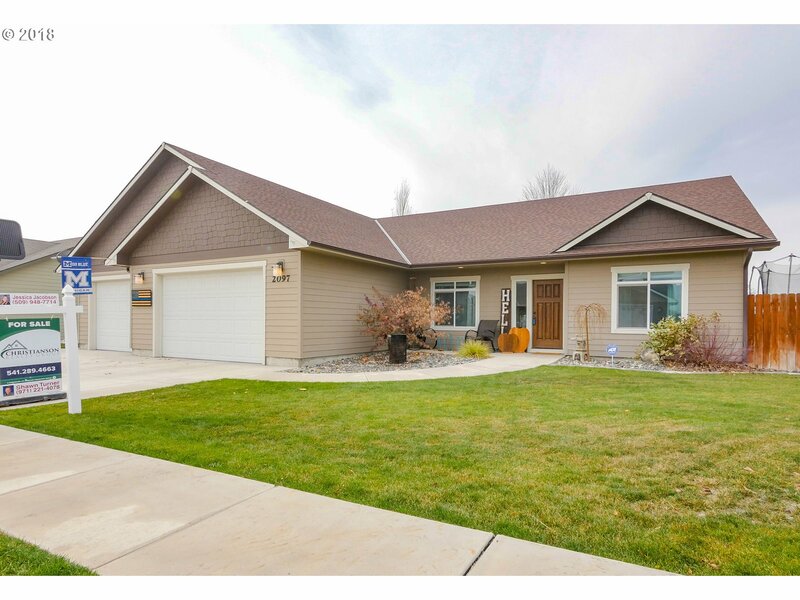 Open house every Saturday and Sunday 12-2pm"
"Beautiful view of the Hermiston Butte! !Enjoy the fireworks from you deck overlooking Hermiston. 4 bed 2 1/2 baths with an unfinished basement that is perfect for the inlaws with 2 bedrooms a bathroom and family room. Large lot for summer BBQ's, landscaped with TUGS." "Stunning 3 bedroom, 2 bathroom with upgrades! This beautiful home has vaulted ceilings, granite counter tops, energy star appliances, inviting gas fireplace with 3 car garage and UGS. Master suite has two large walk in closets, two oversized and large office/den. Enjoy beautiful custom landscaping, with two water features, curbing in front and back oversized patio and a concrete slab with electrical wiring for a hot tub." "Beautiful tri-level home in quiet cul-de-sac. This home has it all living room, 1/2 bath,laundry room, kitchen, dining and breakfast nook on main floor. Upstairs is the master bedroom, 3 bedrooms, family room and common bathroom. Finished basement has 2 bedrooms, bathroom and bonus room! This home has plenty of room for a large family!! Agent is related to seller. washer and dryer not included in sale." "New floor plan being introduced!! This home features an open floor plan including an island kitchen, walk in pantry, and mud room. Over 2,000 square feet all one level. Large master suite is separate from the other bedrooms and includes a large walk in closet and double sinks. Enjoy the spacious back yard from your covered patio."